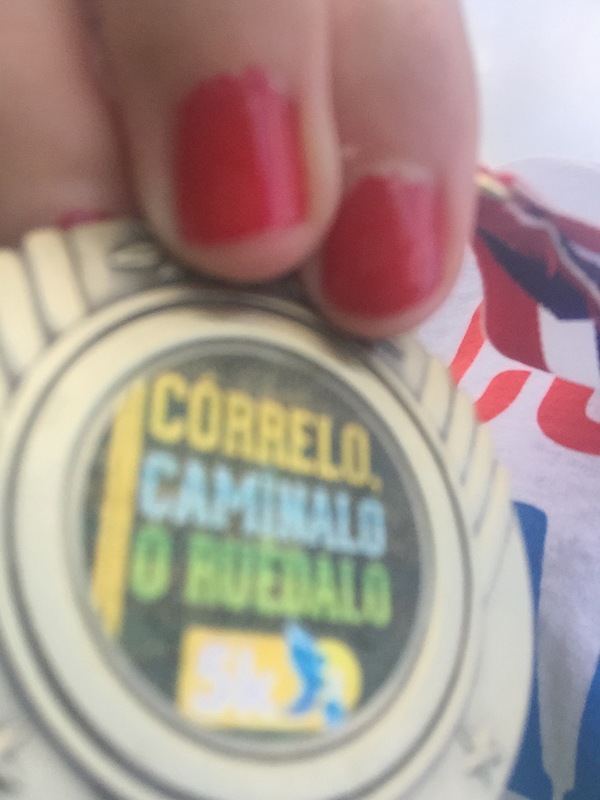 The day came, the day for the happiest 5k I’ve seen, Còrrelo, caminalo o ruedalo (Run it, walk it or roll it). 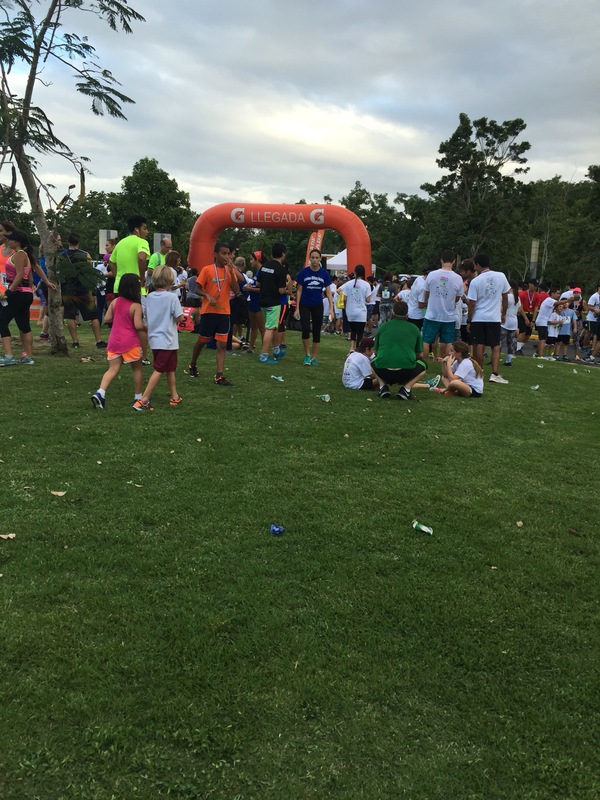 The race began at four p.m. from the Sports and Recreation Center (Departamento de Recreación y Deportes) at Santurce, San Juan. From there we went through the streets in Santurce, some were closed or the traffic was stopped, for us. You could see the kids trying their best to finish. They weren’t doing it for the crowd of cheers they were getting, they were doing it for themselves, because they knew they could. Each of them had a group assigned to help them complete the race. These volunteers went around them making sure to protect them, ready with two bottles of water attached to their waists. I was proud of all these kids, looking happy and strong, doing what many people say they’re not capable of doing. I was doubting myself before the race, I didn’t know if I would be able to do better than the other 3 times. As the race began I got the energy to go ahead and try, so I started walking faster than the rest of the group with me (#teamsusie), leaving them behind, but in rushing myself I went straight to the ground within 10 minutes of the race. I was running when I tried to go around the people who were in front of me. I didn’t notice, because I wanted to hurry up, that I stepped on the curve, lost my balance and BAM! to the floor. When I realized I was going down all I thought was, “I’m done, 10 minutes and I’m done! You idiot! Watch the head!” All I was thinking about was my head hitting the floor, but it didn’t, I fell knee first on the street floor. The two very nice women who were next to me quickly came to my aid, helped me up and poured water on my scraped hands and knees. The walked with me for a while, telling me to be careful and making sure I was ok. After this I made sure to watch the floor and where I was stepping. Halfway through the race I realized that we were running through high traffic streets, we were just going on the bus lane. This almost stopped me, running in the street has become one of my biggest fears, but I wasn’t alone and I was running in the areas they instructed us to. After the first chock, I was able to relax and trust that they were doing everything to protect us, I would be fine. I made it the rest of the way, running and walking, cheering on the kids that needed cheering along the way. I made it to the finish line before I knew it. As I crossed the timer, it read 51:30. So I did it in less than an hour! I am so proud of myself, that’s all I wanted, to participate in this run for a very good cause and to complete it in less than an hour. I fell down, but I got up, kept going and finished in an hour! Another successful 5k and another medal to be proud of. I was even more proud this year of my friend Susie, who completed the 5k with us. She has alway been one of my greatest supporters through this long process I am in, but now it was my turn to support her as she completed the 5k. Team Susie was present to support both of us and we both did this without complaining. Thank you Susie, Carlos, Susana, Marimer, Jose and Sebastian. Previous Previous post: Where did my ideas go?